click photo to enlarge There are a lot of small airports out here in Southern California and many of them have cafes. The food here is pretty good and has reasonable prices. 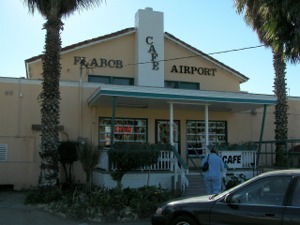 Flabob Airport is in Riverside. The Airport was started in 1925.
click photo to enlarge Flabob airport was named after Flavio Madariaga and his partner Bob Bogen. 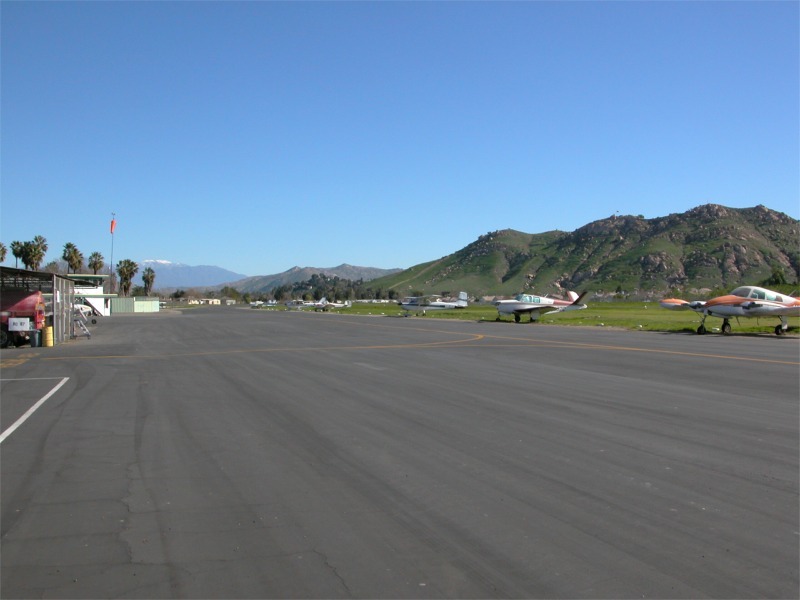 Many people who own small planes will just fly to another airport to eat at their cafes. 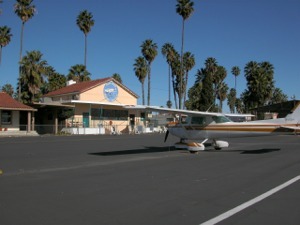 We had a wonderful meal at a small airport in Borrego Springs a few years ago. click photo to enlarge There are also many museums on aviation in SCAL. 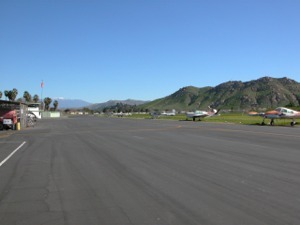 The Chino Airport has the Planes of Fame Museum and Yanks Air Museum, Palm Springs has the Palm Springs Air Museum and Santa Paula has the Aviation Museum. 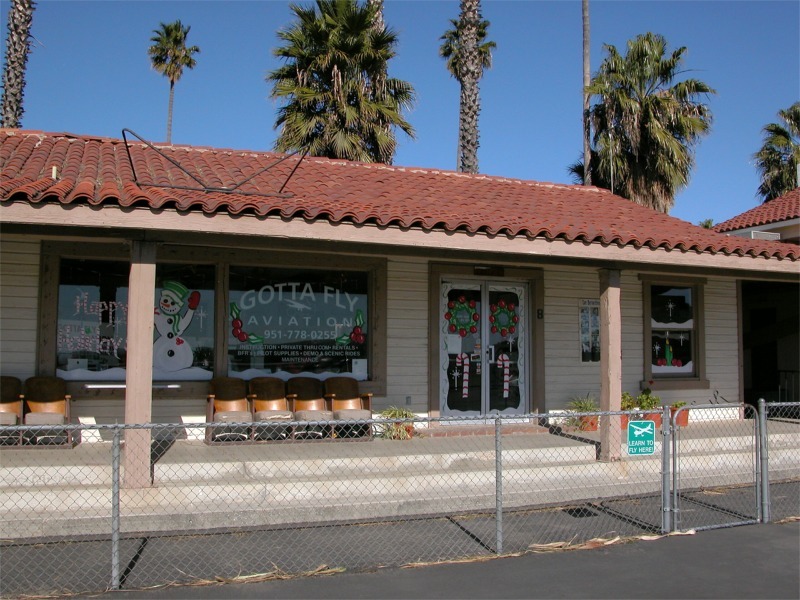 click photo to enlarge Gotta Fly Aviation is also on the premises if you want learn how to fly or rent an aircraft. They estimate you can get your license for just about $5,000. 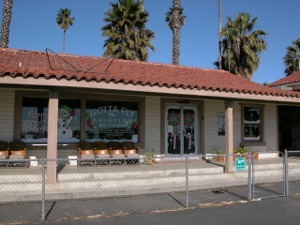 Note the chairs out front. They look like they were taken out of a movie theater. 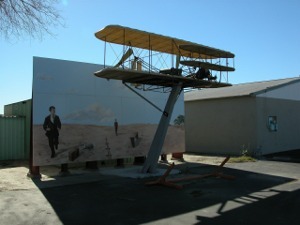 click photo to enlarge This artwork is out front. Unfortunately because of the angle of the sun I couldn't get a straight on picture of it.